In lieu of flowers, donations in George's name may be sent to Loop Church, 11 E. Adams St., Suite 1200, Chicago, IL 60603 (loopchurch.org) or FAIR, 124 W. 30th Street, Suite 201, New York, NY 10001. Fairness & Accuracy In Reporting is the nonprofit progressive national media watch group (fair.org). Since we learned a month ago that the serious illness George Schmidt was suffering from would soon end his life, I've been struggling with what I would say when the end came, which it did early Monday morning. George was just shy of turning 72. As so often these days, my brain is jumbled with so much to say. I am having trouble sorting things out and I often find myself paralyzed. In George's case there is a long history. Too long to get it all down in one blog post. So I will write a few things over time to fully flesh out what George has meant to the progressive teacher movement nationally and especially in Chicago. But George's influence goes way beyond teachers and education. We hear a lot of credit being given to the rise of caucuses around the nation that have challenged the status quo inside their own unions while also challenging the people running the system while pushing for a progressive pro-child movement - the so-called "social justice" caucuses, with CORE in Chicago, founded in 2008, being the prototype. George was one of the main initiators in the founding of CORE and used his widely read Substance (founded in 1974) as a battering ram to break down resistance to the group which was challenging a Unity-type caucus. George also used Substance in yet another victory over the old guard back in 2001 when he supported Debbie Lynch when she won the presidency. George had Substance delivered into every teacher's mailbox on 3 separate occasions during that campaign. George was doing social justice oriented union work from the early 1970s though the day he became incapacitated over a month ago. That's over 50 years of work, including running for president of the Chicago Teacher Union more than once, I believe. 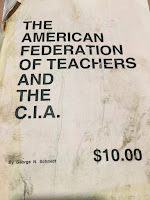 George put his career on the line to fight against standardized tests and the Chicago school system abolished the tests he exposed - though of course they came up with new ones, this time with laws designed to put people who would do what George did in jail. George and the amazing Susan Ohanian cemented an alliance over the testing issue that lasted until George died. Georg'e wife Sharon and Susan are still working together to keep Substance alive. 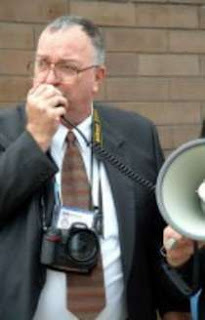 How come Ed Notes was able to report the Chicago ed deform story that was to spread around the nation as far back as the late 90's - which we did to all the UFT delegates and leadership on a regular basis (leading me to a ---DUHHHHH moment)? Because of George Schmidt and Substance, where I began to read Susan Ohanian for the first time. I just looked back at the hard copy of Ed Notes May and June 2001 issues and I must publish them online so you will see the full nature of the Unity Caucus sellout. Susan Ohanian republished the full story of George's career-ending actions in 1999 with this article from those 5-25-01 in the Wall Street Journal. Ohanian Comment: It occurs to me that since this website was not launched until a year after George Schmidt's courageous Act of Principle, many readers of this site don't know exactly what he did. Substance cannot survive without the support of people who claim to believe in resistance. We all owe George--big time. Subscribe--and donate--now. Today. George was the weather vane for the evils of mayoral control, which began in Chicago in 1994 as the first test case for the massive ed deform to come. He even sent me a special letter to publish in Ed Notes as a warning when Joel Klein became Chancellor in 2002. George was so prescient - he predicted everything that came after. No Child Left Behind? 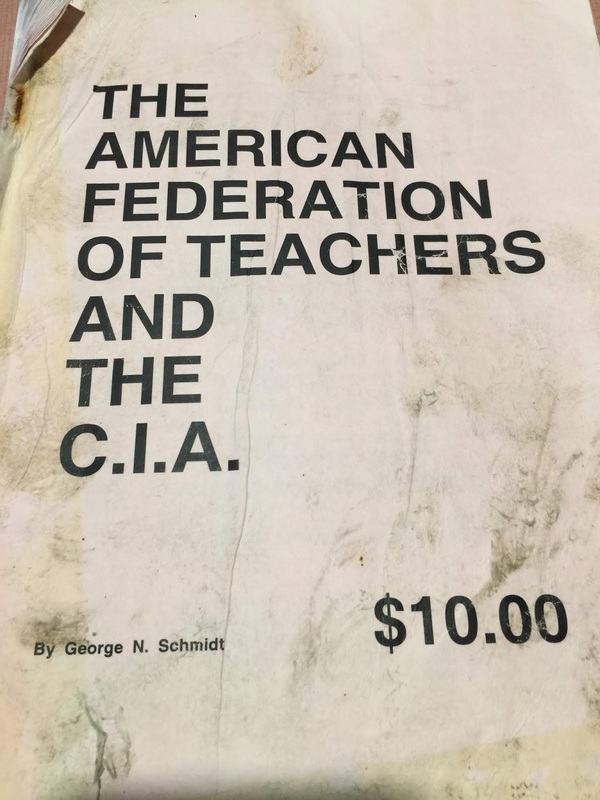 George issued immediate early warnings which I picked up on and published in ed notes, even as our union leaders in the UFT and AFT were supporting this devastating attack on public schools. Charters? George was there from day one, pointing out the dangers they posed. George was a life-long socialist/communist who wore those labels like a badge of honor. Yet you will never see George mentioned in the left-wing press and commentary that fawns over the social justice caucuses or the evils of high stakes testing and other aspects of ed deform. For this he suffered attacks on his integrity over the past years for daring to tell the truth. He weathered those attacks as the many people of all races whom he had worked in battling injustice came to his defense. George had as much influence on my thinking and political and educational development as anyone. At the 2016 AFT convention in Minneapolis I ran into Jackson Potter, one of the founders of CORE and at the time the head of personnel in the CTU. He invited me to join a bunch of CTU staffers and a few others to lunch. Some were curious as to who I was. Jackson Potter, in introducing me tried to find a few words to describe who I was and what I did. Then, with a bit of hesitancy, apparently due to George's controversial reputation: "Norm is, and I assume he would welcome this comparison, the George Schmidt of New York." I proclaimed to the group of a dozen people, some of whom rolled their eyes - and maybe moved an inch or two away from me, I was proud to accept the designation of "the George Schmidt of New York." And I hope to carry on George's work, though I could never fill his giant shoes. I have a lot more to say, so more to come over the next few weeks. Sharon Schmidt has put up tributes to George at Substance and will follow up with a longer piece on October 1. Thanks for this great tribute. I read bits and pieces about George and Substance here on Ed Notes when I was first becoming an active parent. I had no idea he published all the test questions to expose what was being done to kids. That's a true hero. Thank you Norm for this. I would have loved to have known this courageous man. 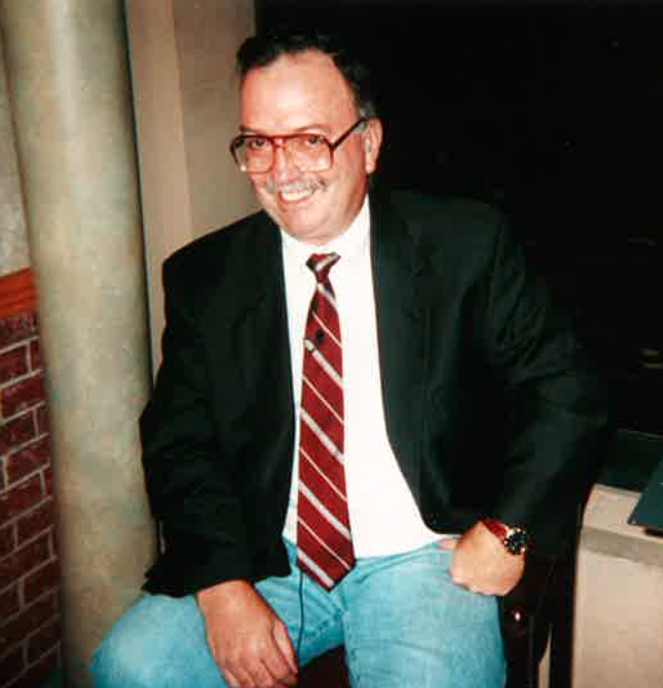 I hope people will honor George with a donation to FAIR (Fairness & Accuracy in Reporting), just a fitting place. Memo from the RTC: Pssst! Want to Buy a Bridge?